Frontiers Records is pleased to announce the release of Red Planet Boulevard, LANA LANE’s new studio album on December 7th 2007. The new album is a melodic rock feast that showcases Lana’s legendary vocals with timeless songwriting, all produced in a modern symphonic rock environment. The atmosphere of the album is both spacious and grand, soaring melodies and intimate phrases play against lush arrangements of guitar and keyboards, all intertwining in a compelling tango of orchestration that is pure Lana Lane. The Red Planet Boulevard musician line-up is indeed the most compact to appear on a Lana Lane album, but the trio does not falter in creating the massive Symphonic Rock sound for which Lana Lane is so well known. Walls of guitars, landscapes of keyboards and tectonic plates of bass and drums drive the arrangements with the energy and exuberance of a band that indeed went straight from the road into the studio. That touring seasoning shows in the subtle complexities of Red Planet Boulevard. This is a band that is experienced and skilled in their craft all supporting a legendary vocalist who is at the top of her game. Twelve all original songs compose Red Planet Boulevard. The heavy rockers “Into the Fire”, “Capture the Sun” and “Angels and Magicians” along with the power ballad “Jessica” harken back to Lana’s 1995 debut release, Love is an Illusion, while in contrast, the anthemic “Shine”, “The Frozen Sea” and “No Tears Left” have a distinctly 21st century sound that fits perfectly with today’s iPod generation. The uptempo “Stepford, USA” re-tells the story of the quiet rural town with a dark secret, while “The Sheltering Sorrow” is a heart wrenching ballad that is epic in scale with links back to the late 60s majesty of early symphonic rock. 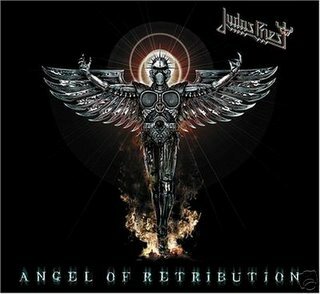 The album concludes with the finale and title track, “Red Planet Boulevard”, where themes from each of the album’s songs is reprised in a grand orchestral rock style. Artwork is once again provided by Polish surrealist Jacek Yerka who has painted the covers for Lana’s many past masterworks. 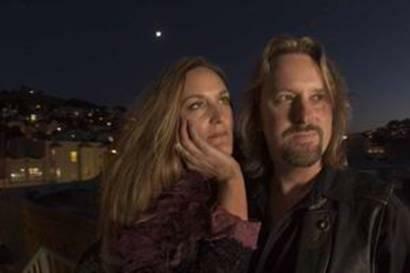 Photos for the album were shot by noted San Francisco photographer Mark Leialoha who brings his own style and vision to the Lana Lane production team. Fans of melodic rock, symphonic style and the amazing female rock voice, your light is green: make the turn onto Red Planet Boulevard! Into the Fire; The Frozen Sea; Capture the Sun; Jessica; Stepford, USA; Shine; Lazy Summer Day; No Tears Left; Save the World; Angels and Magicians; The Sheltering Sorrow; Red Planet Boulevard. Just a quick comment here. I’ve been a Lana Lane fan since 1996 when I picked up her second album CURIOUS GOODS. 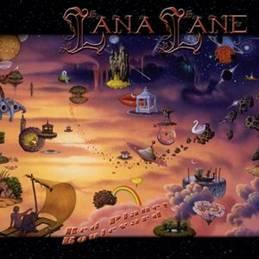 If you like good symphonic/power/progressive Rock then Lana Lane is an excellent band to check out. I haven’t heard a bad album yet from the band and the songs and music have always been top quality, even the covers albums! I suggest everyone check Lana Lane out.